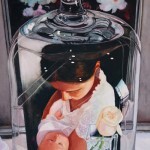 This painting-within-a-painting, in a bell-jar, in front of a painting, is definitely what is called a ‘layered painting’. 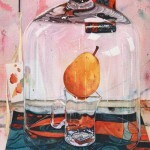 Although this is a very realistic painting, there are many abstract areas as well. The oil painting in the background is one of my works. 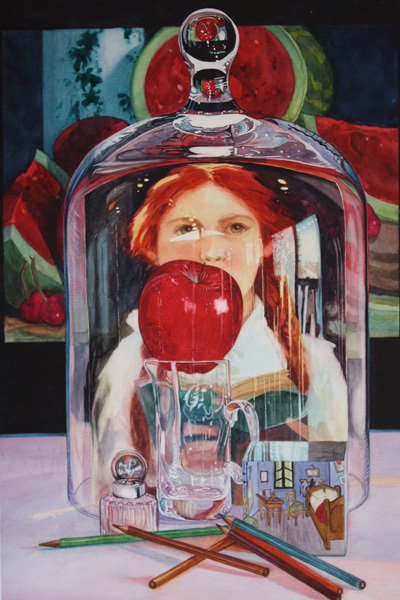 Cloche Interpretations was included in the Rocky Mountain National Watermedia Exhibition in 2013.